When I think of prayer, the song Sweet Hour of Prayer comes to mind. I have always thought of prayer as an Art. To succeed I must take time to learn the proper attitude, etc. I would like to hear the words more often The Art of Praying. As DANIEL HENDERSON writes in TRANSFORMING PRAYER, prayer isn't just a "list" of bless hers, bless hims, help that family, make me stronger, please help me pay that bill and so on. Prayer allows us the chance to have an intimate relationship with God. I learned in the book God really does love talking to us through His Word. He also loves hearing us talk to Him. Sweet prayer is the extraordinary experience of friendship between Our Lord and ourselves. Life is never a stagnant pond. There are the good times. There are the bad times. In A Tale of Two Cities Charles Dickens opens his novel, A Tale of Two Cities, by describing an era. He writes "It was the best of times, it was the worst of times, it was the age of wisdom, it was the age of foolish...it was the spring of hope, it was the winter of despair, we had everything before us, we had nothing before us..." This is the way I would describe life in the Langston household. I met Evia, mother and wife. There is Adam, father and husband. There are the children, Alexa, Alana and Ethan. Alexa and Alana are twins as emotionally different as the taste of cake and pie. There are the friends of the family and other members of the family. None have to fight this hail storm like the immediate Langstons. This one house is under siege because the devil has touched their home much like the devil touched the home of Job and his family. 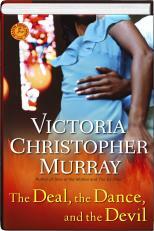 This is Christian Western novel. It's very small. In the novel, I met Josh, a young boy, who sees first hand the ugliness of violence. When his mother, Agnes, tries to save a shot up man named Jack, two men come on the property for trouble. Josh witnesses what no young person should ever see. After this incident his whole life is changed. With nowhere to go he makes his home with the Cheyenne tribe. They are kind to him. He learns their way of life. Soon Josh wants to go away alone to become more in touch with the Great Spirit, the Cheyenne's Creator. When he leaves, Josh is known as Lost Elk. 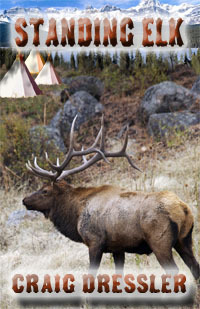 When he returns he is known as Standing Elk.